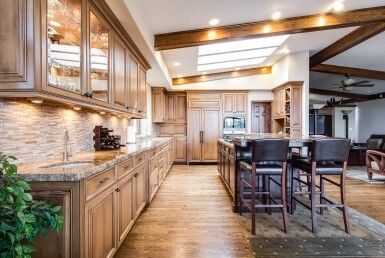 Today we will highlight different materials and/or products that are key contributors to energy savings, interior comfort, and lower utility bills. 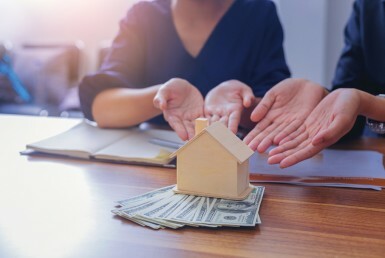 Often, the little extra expense in up-front costs of these materials and products is minimal compared to long-term savings—especially if you, as the homeowner, consider all the resulting benefits for the life of your home. Using radiant barrier roof sheathing or decking is one of the most inexpensive and cost-effective ways to save on utilities. This product can be as little as $2 more per sheet than non-radiant barrier decking, yet some don’t use it in constructing a home because it adds (often as little as $500) to the cost of the home. 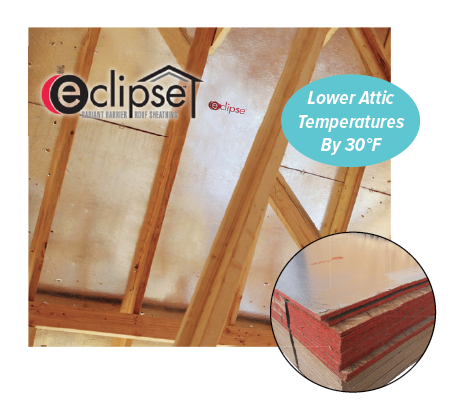 The Eclipse radiant barrier decking is designed with a foil backing to block up to 97% of the sun’s radiant heat, cutting attic temperatures by as much as 30°. Radiant barrier decking can easily pay for itself in less than one year with savings on utilities. Studies show that radiant barriers can reduce cooling costs 5% to 10% when used in a warm, sunny climate. This product is available at Matt’s Building Materials where you’ll find the lowest prices. Find out more from the professionals at Matt’s Building Materials. 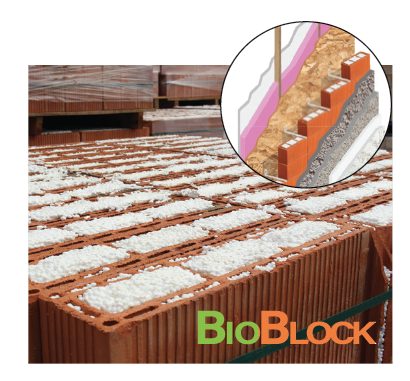 BioBlock, designed with green building in mind, are the only blocks with added benefits. These blocks are made of green materials that possess a significant amount of durability, which secures sustainable framework for generations to come. The highly engineered blocks reduce construction time by 20%. The added insulation from BioBlock ensures that less energy is needed for heating and cooling, therefore providing potential savings of $600-$1,000 annually on electricity bills. Choose the blocks that matter. Find out more from the professionals at Master Brick. 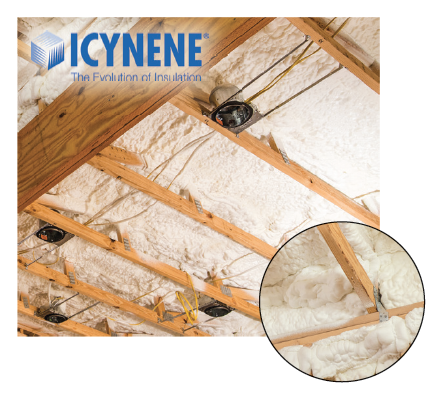 Spray foam insulation is the best type of insulation—outperforming others by a huge margin. Energy savings can be as high as 50% more than other insulation. 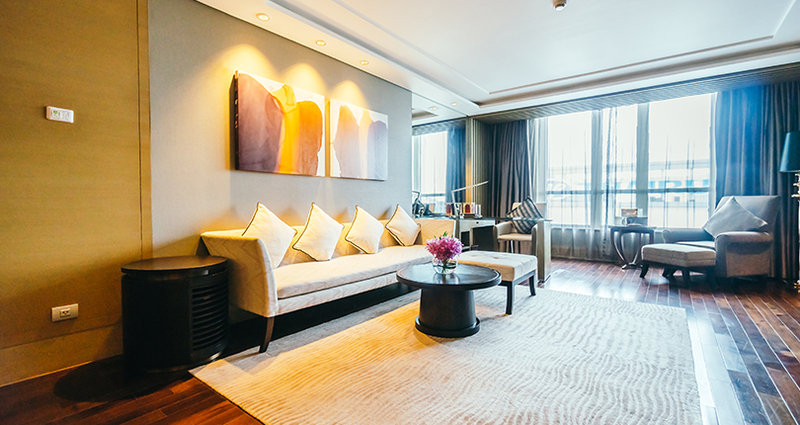 Because of its expansive nature, spray foam easily and tightly seals all nooks and crannies. The air-sealing quality of spray foam is the key to reducing energy bills and helps homes achieve excellent efficiency and the low Energy Rating Index scores needed to qualify for high-performance home programs. Additional benefits include superior R-value, mold and pest resistance, quieter interiors, and cleaner indoor air. Learn more about the BUILT TO SAVE™ Program and its benefits at www.BuiltToSave.org. © 2017-2018 RGV New Homes Guide & Across Media Marketing, LLC. Demand a Right-Sized A/C Unit for Your Home. Bigger Is Only Better for the Contractor.